Eating While Feminist: Breakfast break! I'm doing blitz of dinners we ate this week but meanwhile, here's a picture of one of my breakfasts this week. 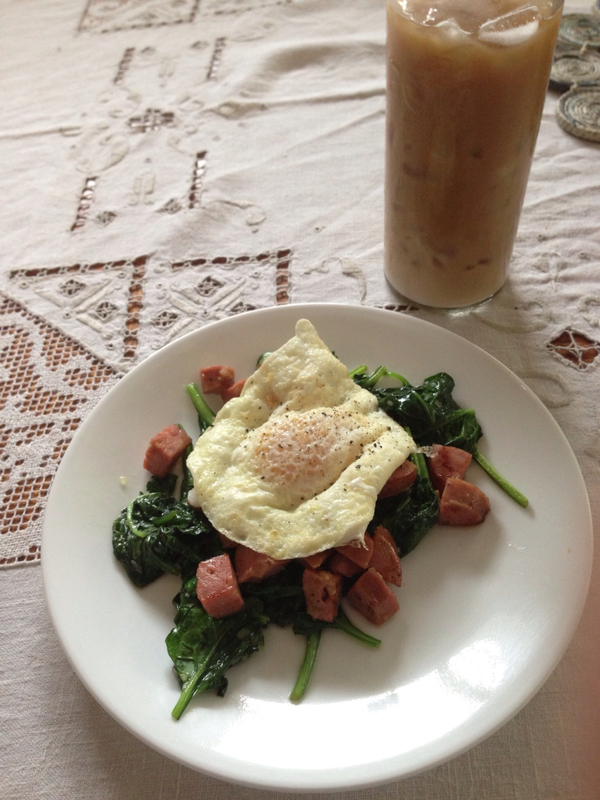 Poached egg over sautéed spinach with shallots, garlic, and Aidell's chicken apple sausage.